Who is he? Where does he play? Is he good enough? 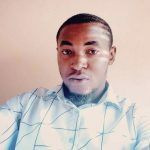 These are some of the questions that Nigerians have been asking about 19-year old Maduka Okoye. 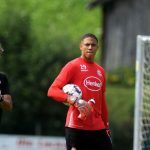 In an interview with OmaSports, Fortuna Dusseldorf goalkeeper, Okoye revealed his admiration for the Super Eagles and said categorically that no amount of money would convince him to be between the sticks for any other nation. They were powerful words from the teenage giant, who stands at 6’6”. On several occasions, he has revealed his lifelong dream of someday representing the Super Eagles. Nigerian Franco-German manager, Gernot Rohr and the Super Eagles goalkeepers trainers should see more games played by Okoye. 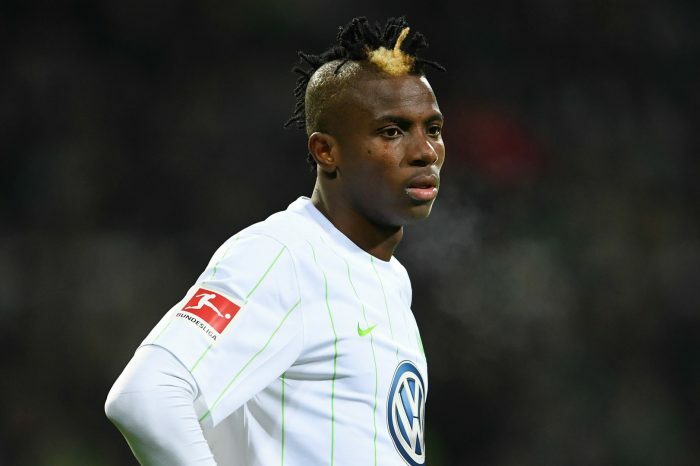 With Rohr having a strong connection across the spheres of German football, his influence may go a long way in defining Okoye’s career. The 19-year old currently represents the Fortuna Dusseldorf U-19 team but has had stints with the senior team. Having gained exposure and experience using some of the best training facilities in Germany, and indeed Europe, he is one man that may be in good stead for an opportunity. Unlike other departments where the Super Eagles of Nigeria are spoilt for choice, the goalkeeping department has become a teething problem. The 2018 World Cup in Russia was boxed in a conundrum of concerns as the coaching crew shed sweat on their choice of personnel to man the sticks. The lanky Francis Uzoho was chosen ahead of senior colleagues, Ikechukwu Ezenwa, and Daniel Akpeyi, and quite deservingly, one must add. 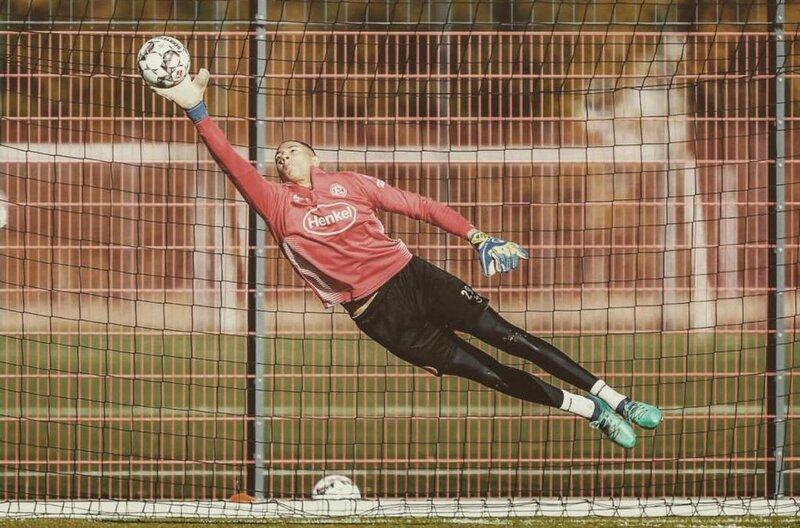 He had just earned some run of games at Espanyol at the time at the Spanish top division and was celebrated as the permanent solution to the Super Eagles’ goalkeeping heartache. Akpeyi’s consistent lack of confidence and Ezenwa’s dip in form at the time were the perfect pedestal for Uzoho to make his mark. The former U-17 goalkeeper (Uzoho) was soon relegated back to the B team when the team’s main goalkeepers got fitter, and a loan move to Elche soon followed. Currently, he is playing in Anorthosis Famagusta, in the ‘oblivious’ Cypriot league and that may have affected his game significantly too as he has shown great lapses recently, especially with how well he organises his defence and his confidence on the ball. The 2018 World Cup may have come too early for Uzoho, but he gave his best. It is however undeniable that Nigeria has more to offer. Maduka Okoye may be young and relatively inexperienced, but his quality development can’t be cast aside. He represents one of Nigeria’s most beautiful goalkeeping choices, and he deserves that big chance to prove himself, more than ever. While he was unable to play against Libya for the Nigerian U-23 team in what would have been a perfect dress rehearsal for his potential Super Eagles invitation, he is being trained in a country known for its impressive turnout of goalkeepers and looks like one that will run away with a chance to impress. In the modern day of ‘sweeping-keeping’ where teams play out from the back and goalkeepers are much more than just figures that dive left or right when a shot flies, Okoye’s developmental process puts him instead to be a potential Super Eagles great. Since the painful and unfortunate retirement of Carl Ikeme, the Super Eagles have struggled to replace him accordingly. It was a short stint of hope, and Okoye may be the man to bring that great hope back. There is a dissenting voice against his invitation because of his age and lack of experience, but all will be extinguished when he gets the big break he deserves and shows his actual qualities. Okoye, like it is said in the local parlance should be given a chance to f*ck up, and then, Nigerians can look elsewhere. However, there is no better time to boost the morale of a young man whose lifelong desire is just to be given a chance to represent his people and country than now. The ball is in Rohr’s court, and we hope he plays it well. Written by Rilwan Adetayo Balogun. @balogunrealone on twitter.